One of the most common complaints I hear in my practice is anxiety. That nagging feeling of unease and fear that might be directed towards something or someone, or might just be there for no obvious reason. This feeling can be very debilitating, and the coping mechanisms range from staying at home, because the outside world seems too frightening and scary, to drinking alcohol or taking anti-anxiety drugs. These drugs can be helpful in the short term, but never treat the root cause of the problem. They mask the feeling but are never the answer. When the medication is stopped, the feeling of anxiety returns, often stronger than before. When a client first comes in with anxiety, I ask how strong it is felt on a scale from 0 to 10, with 10 being a full blown panic attack and 0 meaning no anxiety. It is amazing how many people report living with a constant level of anxiety of about 7 to 8. From an energetic perspective, anxiety is a disorganization of the vital energy that runs in your body. It is misaligned and thus causes the symptoms. When anxiety hits, the energy that runs through your meridians (energy lines) and chakras (energy centers) goes haywire. Most of the energy will move upward, which creates a “spaced out” and “foggy” feeling. A big part of the energy shoots up into the heart chakra, which produces heavy breathing and heart palpitations. The right and left part of the brain become unbalanced and thinking clearly becomes almost impossible. Receive an energy clearing from the comfort of your home to feel safe and secure within your body and the world. Since anxiety is caused by disorganized energy, it can be healed through properly aligning the energy again. When I start a medical intuitive healing session, I first look into the energy body to find out how the energy looks like in the client. The Aura, which is the energetic field around the body that gives a sense of protection, is usually very thin. This goes hand in hand with a feeling of being vulnerable. The outside world is perceived as a hostile place and someone with an Aura like this can not really relax, their nervous system is constantly “on guard”. They constantly feel “attacked” and feel the need to defense and protect themselves. Next, I look into the main energy centers of the body, which are also called “the chakra system”. Every chakra is an energetic center of it’s own and supplies energy to different parts of the body. But the charkas also function like little software discs. They store all the information of everything that ever happened to you. You might have had a frightening experience that was long time ago, but the energetic information of that shock is still held in the chakra. This energy informs the body today and thus leads to anxiety. This is the reason why talk therapy will not remove the unwanted feelings, because it never addresses the underlying energy. It will help you understand yourself better, but the troublesome feelings often remain. Most people with anxiety are also very “psychic”, which means that they can pick up on others people thoughts effortlessly and often, part of their anxiety stems from the fact that they are picking up on other people’s anxiety! Most times, the root chakra, which is the energy center at the bottom of the spine that connects you energetically to the ground, is very unbalanced. This leads to a “spaced out” feeling. Once I have done a thorough analysis of the energy centers, I move on to finding the root cause of the anxiety. The so-called root cause is the energy with which the cycle of anxiety started. It can stem from a traumatic event that is still held in place in the energy centers of the body. Most often, this event can stem from childhood, your adult life, but also from your birth and the time you were in the womb. If your mother had anxiety when she was pregnant with you, chances are high that you too will experience anxiety at some point in your life. This is because the embryo or fetus is directly connected to the mother, not only physically, but emotionally as well. Receive an energy clearing to remove negative energetic imprints from your body to feel safe and protected. Once we have found the true cause of the anxiety, we release this energetic information from your system and replace it with life affirming and calming energy. 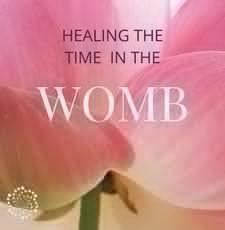 When this is done, the energy can re-align and the healing occurs. 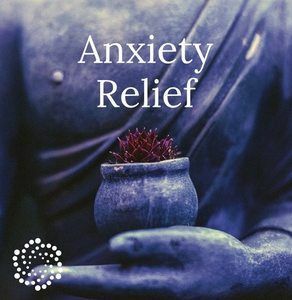 When appropriate, I also teach clients a simple hands-on technique that they can do when they experience anxiety to temporarily re-align the energy and lessen the symptoms. After a successful treatment, many people report feeling more grounded and safe in their bodies. The world-view changes from “a hostile” place to “a friendly place”. The quality of life improves dramatically and with a new sensed feeling of independence, strength and self-confidence, many people refer to the treatment as “getting their life back”.